As we are moving along in the Way To Save On Produce series the next step is to buy with strategy. When looking to buy produce with the intention of feeding our families healthy fruits and vegetables but wanting to save the most money it will take just a tiny bit of planning to make it happen. Would you agree that the very best, most flavorful produce is when the fresh vegetable or fruit is in season? I sure hope you do! It only stands to reason if the produce is in season and at it’s bounty then pricing will most likely be the least expensive. It’s supply and demand! Strategy for saving with produce would be find out what’s in season and shop those items first. I would not plan a watermelon salad at Christmas time! Instead I would stick to watermelon in the summer! Buy Produce With Strategy – buy what’s in season! Check out my list of seasonal produce list set up month by month, season by season. When looking at the sales ads you will see the produce sales and most likely, the sale will coincide with the seasonal best deals. Plan your menu around those fruits and vegetables FIRST, then add a bit extra for variety. Consider freezing or canning the seasonal produce to have for future use. Pick it up now at the rock bottom price and prepare it for upcoming months. Every month, at the beginning of the month I share a detailed post about What Is Best To Buy This Month. Included in that information are the seasonal fruits and vegetables to be on the look out for. 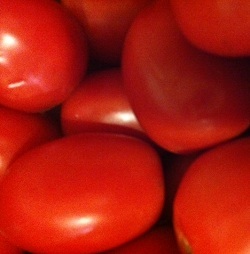 They are in season, at an abundance with the best flavor and lowest pricing! Celery, potatoes and bananas have pretty consistent pricing all year long. My seasonal produce list may be slightly different in your climate. Some produce will be seasonally for a few months, try some new recipes and enjoy! Anjou pears, beets, broccoli, brussel sprouts, red cabbage, carrots, celery, Comice pears, cranberries, kiwi, lemons, oranges, persimmons, squash, and yams. Watch for potatoes priced special for Thanksgiving! Now that you are buying in season, find new recipes for cooking the vegetables. I have 3 places that I routinely go to for new recipes: Cooks.com, Food Network and Epicurious. These are my top 3 recipe places because the reviews and comments are most helpful from these sources. I want the input of many people who have tried a recipe and see their ideas of taste and tweaks to the ingredients.